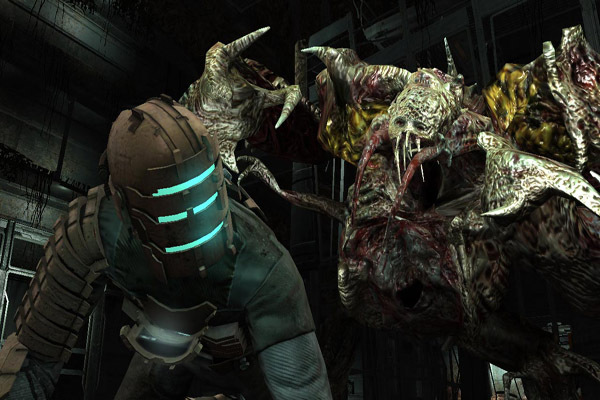 The futuristic, dystopian survival horror of Dead Space broke new ground upon release in 2008. It followed in the wake of Resident Evil 4, which pretty well marked the moment that the series/genre went gung ho and actiontacular. Remember Alice doing her slow-mo Matrix jump and kicking that dog in the face in the movie? That’s what Resident Evil looks like now, for better or worse. The very mention of the fifth or sixth game causes great tidal waves of bile and fury across the internet, for that very reason. But what Dead Space did was nothing short of miraculous: keeping that gun-totin’ spirit while still retaining enough of the good ol’ fashioned horror. Central to this was the creation of the Necromorphs. Hold on to your undercrackers, we’re going to meet them. These hideous buggers are a step above your standard zombies in the ‘ew’ stakes. There are, granted, reanimated human corpses, but it’s a little deeper than that. They are born through exposure to the Markers, mysterious alien artifacts which spread a sort of infection to those with whom they come into contact. This causes a ghastly kind of mutation, in which claws grow from unusual places, skin turns inside out and even grandma doesn’t love you any more. A grisly fate indeed. With their transformation complete, these beasts’ only thought is to spread the enigmatic ‘infection’ and create as many dead bodies as possible for this purpose. By, unsurprisingly, killing everybody and anybody right in the face. With death. 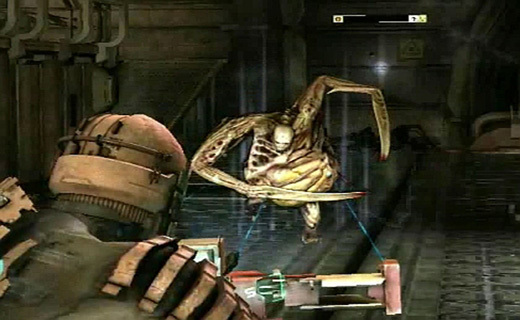 The bog standard Necromorph foot soldier is the Slasher, with its ghastly scythe-arms and tiny mutant hands growing from its stomach and such. These guys aside, they come in all kind of ghastly flavours. They range from horrific tumour-things which fire acid at you from shadowy corners to exploding baby-bombs. It’s all kinds of nasty. Just to add to the fun, Dead Space introduced the ‘strategic dismemberment’ system. This meant you must blast off limbs to deal any real significant damage to some opponents. Couple with the improvised-mining-tools nature of your weaponry, it’s a brutal experience.